Adam Brodsley co-founded Volume Inc. at the dawn of the new millennium (which admittedly sounds like a long time ago) and has since served as principal and creative director. His broad range of expertise and experience is connected by the desire to engage people through the power of design, whatever the method, whatever the medium, but especially in the physical world we inhabit. 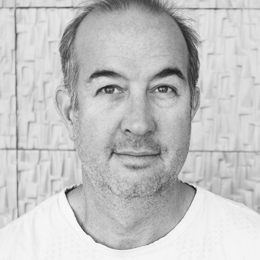 Brodsley has worked on projects ranging from branding and identity to digital and print to large scale environments for clients such as 826 Valencia, Adobe Systems, Autodesk, the Boy Scouts of America, the California Academy of Sciences, Heath Ceramics, Facebook, Google, Rizzoli, SFMOMA and the Robert Wood Johnson Foundation. In addition to a number of years teaching design and lecturing nationally, he has garnered numerous awards and his work has been widely published. Brodsley is a graduate of ArtCenter College of Design and holds a BA in Communications from UC Santa Barbara.